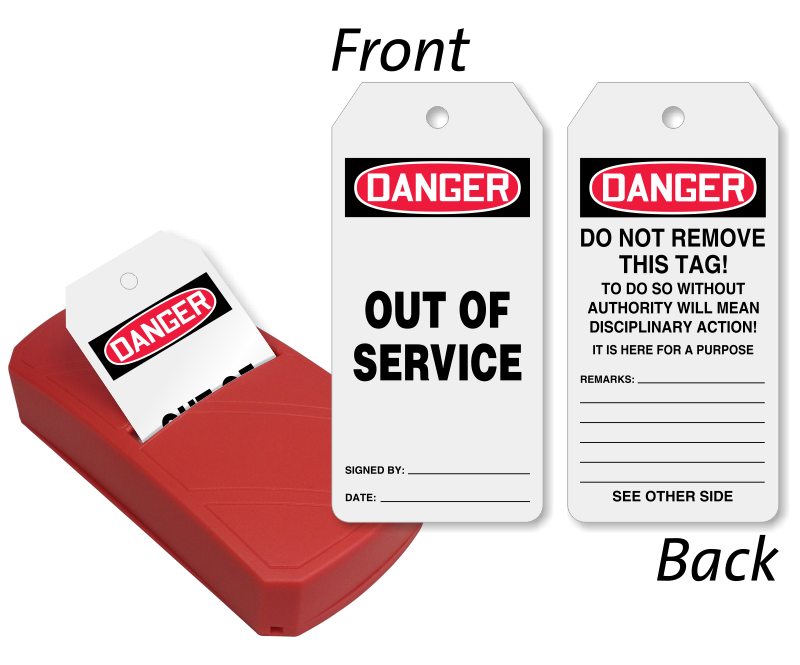 Out of Service machine, forklift, or equipment should be tagged with a durable and bold tag. 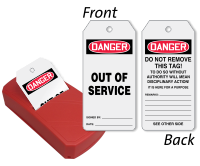 • Tags come in a convenient Take-A-Tag Dispenser are made of plastic based synthetic material making them tear-resistant, waterproof, and sturdier compared to cardstock tags. • Dispenser can be replenished with a refill tag pack sold separately.